I’ve arrived in the islands of Haida Gwaii in the Canadian Pacific Northwest. It is an area which doesn’t get a lot of visitors and few people are familiar with. It is a shame, because it is one of the most special places in North America. If you’ve looked at a map of Canada or North America, you’ve probably seen it even if you didn’t know what it was. It is a triangular group of islands about 120km off the coast of the British Columbia mainland. If you think of the panhandle of Alaska as a handle of a dagger, Haida Gwaii would be the blade (and if you look at it on a map, it sort of looks like a knife blade!). The island group consists of two main islands (Moresby and Graham islands) and over 150 smaller islands. To get here you can fly from Vancouver or take a ferry from Prince Rupert, BC. The 2010 Haida Gwaii Reconciliation Act change the name of the islands from the Queen Charlotte Islands to Haida Gwaii, which means “islands of the people” or “islands of the Haida” in the local Haida language. 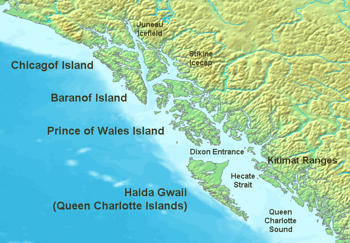 Many people who don’t know what or where Haida Gwaii is might have heard of the Queen Charlotte Islands. Prior to the first contact with Europeans, there may have been as many as 20,000 Haida. Smallpox and tuberculosis reduced their numbers to 600 survivors by 1900. Today there are approximately 3,000 Haida living on Haida Gwaii with another 2,000 living elsewhere. The Haida have a ritual called the potlatch, which is sort of a large multi-day party associated with important events. During the potlatch, the person who throws the potlatch will feed and take care of everyone. At some point, the person conducting the potlatch will conduct whatever business needs to be taken care of in public and those attending will be paid to witness the event. It served two important functions for the Haida. First, it served as a form of record keeping for a society that had no written language. By creating and compensating a large number of witnesses, you could be sure that important events were recorded. Second, it served as a form of insurance. By giving away a large amount of wealth, those who had a bad year would be offset those who had a good year hunting and fishing. Memorial totem poles for important people would have rings near the top indicating the number of potlatches they hosted during their life. Gwaii Haanas (meaning “beautiful islands”) comprises roughly the southern third of the islands. It protects not only the forests of the islands but also the cultural Haida sites and extends all the way down to the bottom of the ocean. The park is one of the hardest to reach national parks in North America as there are no roads, signs or permanent structures in the park. The only way in is via boat, kayak or seaplane. The park is also the location of SGang Gwaay, a former Haida village which was destroyed by smallpox in the 19th century. SGang Gwaay is a UNESCO World Heritage Site and contains the oldest original standing totem poles in the world. During the 19th and most of the 20th Century, the Haida people were prevented from practicing their culture and language. In the later half of the 20th century there was a revival of Haida art. The most famous artist was probably Bill Reid, who’s sculpture “The Spirit of Haida Gwaii” is featured on the back of the Canadian $20 bill. The sculpture is currently located at the Canadian Embassy in Washington DC. While some linguists have attempted to classify it in the Na-Dene language family of North American native language, it really has no relationship to anything. Attempts have also been made to link it to languages from Siberia, but again, there is little fit. It is, like Basque, and isolated language with no known relatives. Today there are only a small number of native speakers of Haida, most of whom are over the age of 70. There are attempts to revive the language, including teaching in to children in Haida schools. Nice reading! I HAVE been to the UNESCO site, and I have touched the gravestone of the late great Bill Reid. I went by boat, and it rained the whole time…the forest is lush and there is thick carpet-like moss over everything. There is a site of original “LONG HOUSE”. The birdsong is part of the calm and hush. You can hear the spirits singin. My husband and I fell in love with the islands and will be retiring int eh northern part of Graham Island in a year or 2. 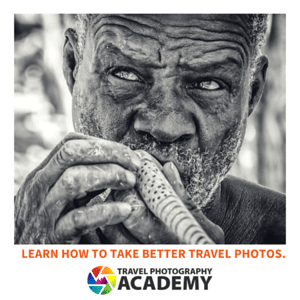 Have you actually been there? There are many habitations in the Protected area. At the major archeological sites. Also in Rose Harbour, Kunghit Islands, where I live. I run a guest house there. Nice of you to share this piece of knowledge on Gwaii! Nice interesting trivia. I live in Ketchikan, near Prince of Wales on the map. I’ve never been to Haida Gwaii, but I’d love to go. This whole area is stunning! Thank you for this post Gary, I miss home so much more now. My mother is an eagle from Massett, so I am part of those 2,000 people who are away from home. Timely post for Canada Day. Very interesting! Number 1 definitely answered my first question! You’re right, we never heard of it. Looks like an amazing place though.